CBB was involved with a very successful evening at the House of Tomorrow presentation on Oct 19th at the Weinrib House in Highland Park. Both homes were designed by George Fred Keck and were a striking parallel to each other, only 3 decades apart. Over 125 people attended and was co-sponsored by the National Trust for Historic Preservation (NTHP), Chicago Bauhaus and Beyond (CBB), Indiana Landmarks, Chicago Art Deco Society, Landmarks IL, and Meg O’Sullivan of Chicago Home Curator. CBB was contacted by the National Trust to help host an event surrounding the mission to save the House of Tomorrow and we were able to recommend the perfect venue as a result of our relationship with homeowner and Meg. With all the preservation organizations represented, there was a great chance for interaction between the groups. CBB’s event coordinator Randi Merel gave a short talk about our organization to share our mission with the attendees. 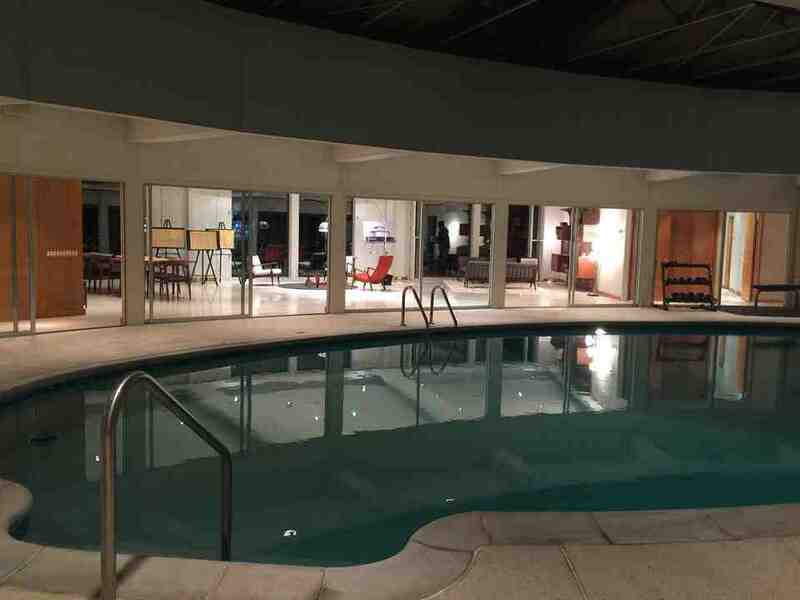 The Weinrib home was a sight to be seen with its circular layout bordering the swimming pool with retractable roof. The home is in fantastic shape. The current owner removed the existing carpet to discover original terrazzo floors in outstanding condition. What a lucky save! 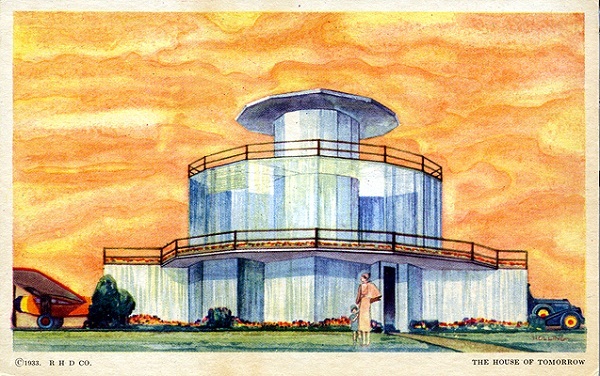 The event ended with the exciting announcement that the House of Tomorrow has been deemed a “National Treasure” by the NTHP and will be restored. Kudos to Jennifer Sandy and Meg O’Sullivan for coordinating the event.